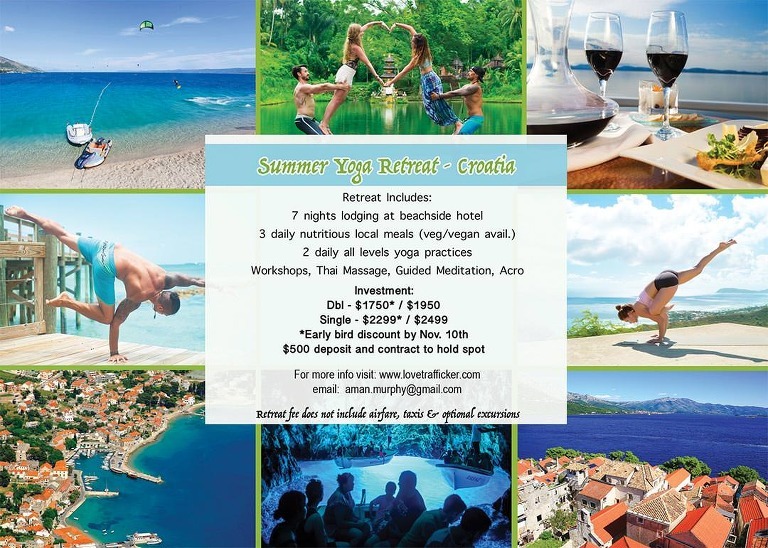 Start Your Summer in Beautiful Exotic Croatia with Amanda Murphy & Rian Basilio. Come explore the Adriatic Sea and see why it is Europe’s most sought-after summer destination. Experience the vibrant culture of Croatia through nourishment, tranquility, and connection. Discover island life in the most peaceful part of Bol, surrounded by lush pine forests and crystal clear blue sea. 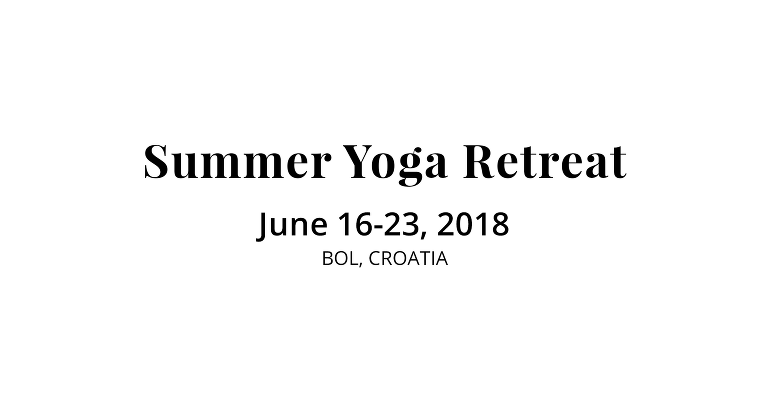 Indulge in a week of Yoga, Meditation, Thai massage, feel-good vinyasa flow, restorative and partner yoga June 16-23th 2018. Come spend this week enjoying the amazing blue sea and rich culture while using the opportunity to rediscover your playful self. Experience Croatia with 2 of your favorite teachers and friends! Daily Sunrise walks along the most photographed beach in Croatia. Limitless nature, abundant wildlife, peaceful contemplation and free time completely off-the-grid if you choose. Spa Massage Treatments not included but available upon request. Brač is the largest Dalmatian island, with 394 km2 of land area, 12 km wide and about 40 km long. 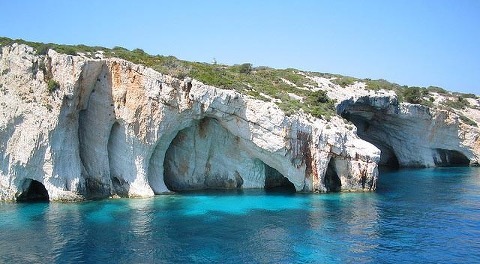 Like a huge ship, the island of Brač is a picturesque archipelago between the islands of Hvar and the city of Split. The pointy top of the island of Brač is the 780 m high Vidova gora Hill, the highest peak on Croatia’s Adriatic islands. Beautiful views of the sunlit sea extend from the top of Vidova gora. The unpredictable play of light creates fascinating sights such as idyllic plains dotted with sheep herds. 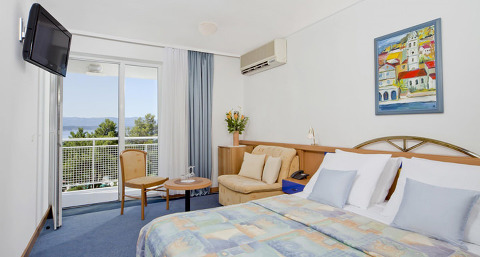 The island of Brač is excellent for relaxation, health, sleeping, and dreaming. 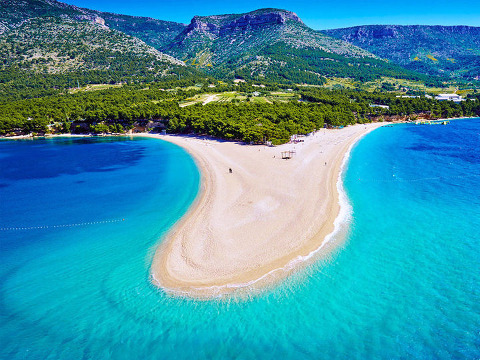 Bol and Brač have a typical Mediterranean climate – characterized by long, humid and dry summers and short, wet winters. During summer, the winds are not cold and the afternoon mistral (northwesterly wind) that blows from the sea in addition to the evening burin (north-northeastern wind) from the Brač hills both offer pleasant refreshment. The island is Rich with Cultural Heritage. The civilization of Brač is marked by a centennial tradition that bears testimony to Roman agriculture and Renaissance architecture inspired by the island’s landscape and aesthetics. You will experience something authentic when arriving in the south of the country, visiting an island that is infused with the scents of Mediterranean vegetation and rich cultural heritage. Ever since ancient times, the stone has been dug out of Brač quarries and used to build notable buildings, the most famous one being Diocletian’s Palace in Split. During their reign on the island, the Romans built farmhouses, presses for grapes and olives, ponds (watering-places for animals) and quays. Notable Roman remains to include two large Roman mausoleums and many scattered pre-Christian and Early Christian sarcophagi. there is also a love of humanity"